We congratulate John R. Burroughs, M.D. on this achievement, and we are honored to have him as a 2016 American Institute of Plastic Surgeons’ Member. Dr. John R. Burroughs, the Medical Director of Springs Aesthetics, is extremely proud to announce that he has been nominated and accepted as a member of the 10 Best in Colorado For Client Satisfaction annual list for 2016 by the prestigious American Institute of Plastic Surgeons. This coveted honor recognizes the exceptional performance and quality of care that Dr. Burroughs gives to all his patients as he strives to meet their healthcare needs. The American Institute of Plastic Surgeons is an independent, third-party organization that publishes an annual list of the Top 10 Plastic Surgeons in each state. In order to receive this tremendous honor, Dr. Burroughs had to pass the rigorous selection process carried out by the American Institute of Plastic Surgeons. This selection process includes thorough research, patient and/or peer nominations, and an independent evaluation carried out by the American Institute of Plastic Surgeons itself. The goal of the annual list is to provide a valuable and informative resource for patients during the plastic surgeon selection process. Naming Dr. Burroughs as one of the 10 Best in Colorado For Client Satisfaction, the American Institute of Plastic Surgeons notes, "One of the most significant aspects of the selection process involves surgeons' relationships and reputation among his or her patients. As patients should be a surgeon's top priority, the American Institute of Plastic Surgeons places the utmost emphasis on selecting surgeons who have achieved significant success in the field of Plastic Surgery without sacrificing the service and support they provide. Selection criteria therefore focus on surgeons who demonstrate the highest standards of Client Satisfaction. We congratulate John R. Burroughs, M.D. on this achievement, and we are honored to have him as a 2016 American Institute of Plastic Surgeons’ Member." 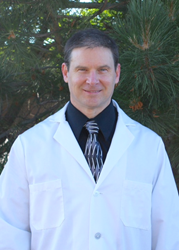 Dr. John R. Burroughs of Springs Aesthetics says, "I am incredibly humbled to be named as one of the top ten plastic surgeons in Colorado in regards to client satisfaction for 2016 by the American Institute of Plastic Surgeons. The central focus of my practice has always been to provide the highest level of care and compassion possible to my patients. It is extremely heartwarming to have so many patients and peers offer their opinion that I be a part of this annual list, and such an honor strengthens my resolve to continue to offer the highest level of service possible. I wish to thank my patients, peers, and the American Institute of Plastic Surgeons for this amazing honor."